Xiaomi has announced that it will be locally manufacturing PCB or Printed Circuit Board in India. A PCB is a key component in almost every electronic device and is the plastic board onto which other components are soldered on to and enables connectivity between them. Xiaomi also announced three new smartphone manufacturing plants in India. These plants, built in partnership with Foxconn, are based across campuses in Sri City, Andhra Pradesh and a new campus in Sriperumbudur, Tamil Nadu with over 180 acres of area. Apart from these, Xiaomi now also manufactures smartphones in its Noida, Uttar Pradesh factory, built in partnership with Hipad, which previously only manufactured power banks. Right now, Xiaomi has a total of six manufacturing plants in India, all of which make smartphones. The company claims 95% of its smartphones sold in India were manufactured locally. 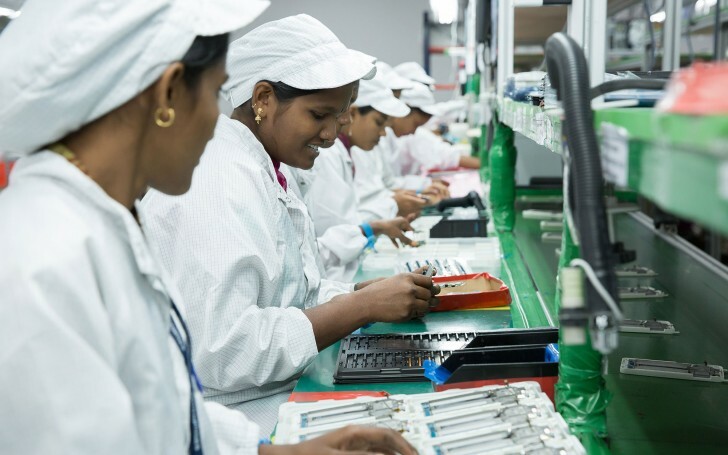 The factories built with Foxconn employ over 10000 workers, of which more than 95% are women. All the assembly work is also done by women. Xiaomi is currently the number smartphone player in India, with 26.8% overall market share as of Q4, 2017. The company also leads the online smartphone segment, with a massive 57% market share.